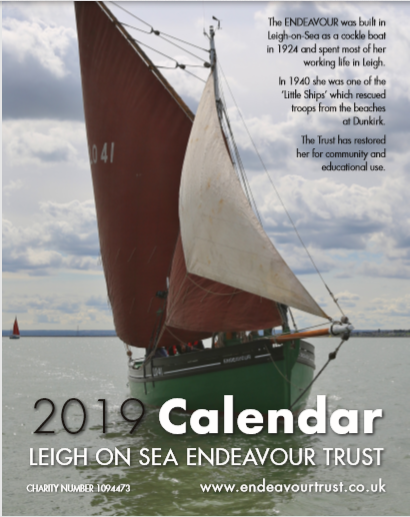 The Leigh-on-Sea Endeavour Trust has produced a quality A4 calendar for 2019, featuring an eclectic mix of photographs by various photographers. Photographs include Endeavour at past and recent events and vintage black and white photographs. 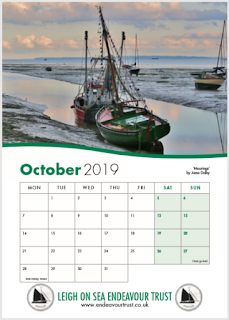 The calendars are for sale at £8.50, with free delivery in the Southend borough, and are available now. All proceeds will be used towards the maintenance and running costs of Leigh’s Dunkirk ‘little ship’ Endeavour. 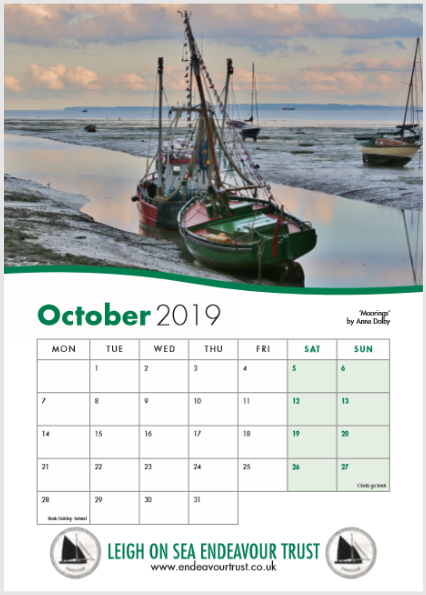 Please contact Rob Everitt at Robert@everitts.org for more information, including P&P details, and to place an order.